Nigeria’s ex-President, Dr. Goodluck Jonathan, has been selected for honour by the Diplomatic Circles in Geneva, Switzerland. Jonathan, who is being honoured for his democratic credentials and “upholding human rights in Africa” becomes the first African President to be so honoured. He is to receive his honour on Thursday, January 21, 2016 at the group’s annual dinner in Geneva, Switzerland. The Diplomatic Circle, which is a group of diplomats globally, have also scheduled Dr. Jonathan to deliver a keynote address at the event. Earlier in the year, a public policy organisation on African affairs, the Africa Political and Economic Strategic Center (AFRIPOL) had also nominated Dr. Goodluck Jonathan for the Nobel Peace Prize. The organisation stated the peaceful way he conceded victory to President Buhari in the general election as one that deserves the attention of Nobel Peace Prize committee. 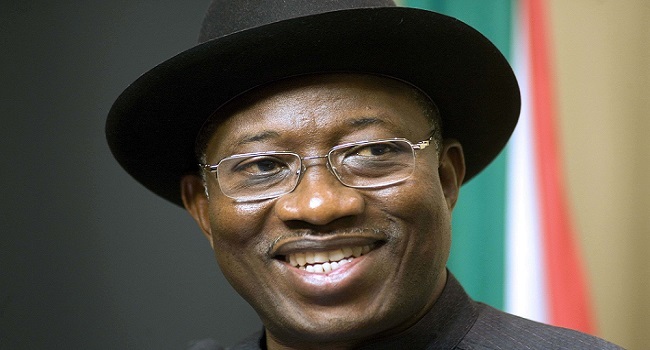 The group noted that although Jonathan’s act might have not promoted “fraternity between nations” as required of a Nobel Peace Prize winner but he promoted fraternal peace among Nigerians by conceding power.